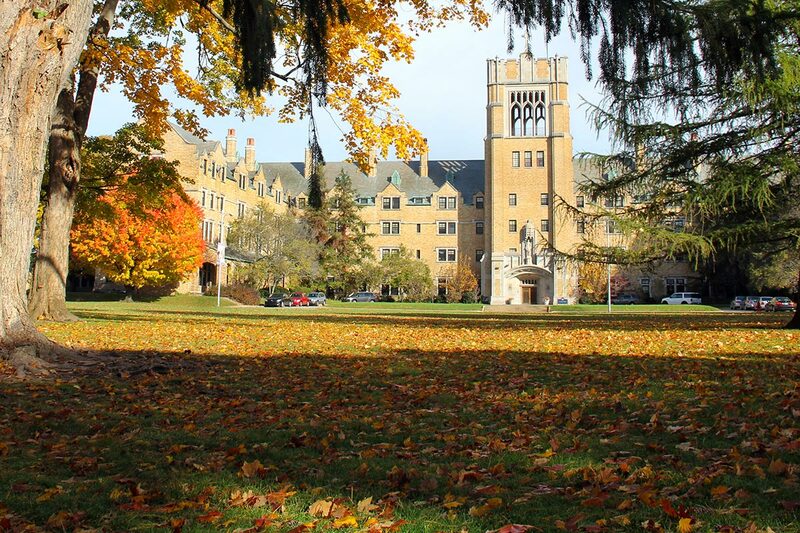 It’s not hard to make a list of things you love about Saint Mary’s. Lifelong friendships. Challenging classes. Favorite professors. Beautiful buildings. The Avenue. These are essential pieces of the Saint Mary’s experience. And they’re here to stay, thanks to the Saint Mary's Fund (formerly known as the Annual Fund). Unrestricted gifts made through the Saint Mary’s Fund are applied directly to where they are needed most. These gifts are the difference between a good education and a great one. As a vital component of the College's operating budget, the Saint Mary's Fund impacts every aspect of the student experience. Annual, unrestricted gifts are applied directly to where they are needed most and allow the College to be flexible, responding to special opportunities as they arise. Gifts to the Areas of Greatest Need are an investment in the mission of Saint Mary's and make both the College and the women who receive an education here, stronger. While Saint Mary’s College offers the academic foundation and spiritual focus that equip students to build a better tomorrow, donors provide the scholarships and financial aid to keep that education within reach. This academic year, 100% of incoming students will receive financial assistance with the help of our donors. Gifts to Scholarships and Financial Aid provide students with the possibility of the life-changing Saint Mary's experience. From The Avenue leading through the heart of campus, to the state-of-the-art Spes Unica Hall, to the newly expanded Angela Athletic & Wellness Complex, and all points in between – ours is a setting that inspires excellence, vibrant activities and events, and friendships that last a lifetime. A gift to Campus Renewal and Preservation will assure all aspects that make Saint Mary’s feel like home will continue to welcome students for years to come. Small class sizes and individualized attention from professors are hallmarks of a Saint Mary’s education. With a 10:1 student/faculty ratio, professors know their students and challenge them to test their limits, think critically, and engage in lively discussion. This, in turn, positively impacts academic performance and promotes personal success. Donations to Academic Excellence will help Saint Mary’s continue to invest in our educators. The liberal arts component of a Saint Mary’s education forms women who are skilled in their area of study as well as in communicating their viewpoints. As a result, you’ll often find Saint Mary’s alumnae quickly taking on leadership and management positions. Gifts to Learning and Technology allow Saint Mary’s to offer innovative programs and state-of-the-art technology that help prepare students to address the world’s needs. Shaped by the charism of the Sisters of the Holy Cross, the Saint Mary’s community is committed to developing the mind, heart and spirit in order to prepare women to respond to the most pressing needs of the times. Donations to Student Life and Faith Development help Saint Mary’s to build a community of academically-ambitious, faith-filled, passionate women. Payable by May 31, all Saint Mary’s Fund gifts are used in the fiscal year in which they are received. We invite you to come back to campus to see your support at work. To make a gift, please visit our online giving page or call the Office of Annual Giving at (800) 762-8871. Visit our Invest in Saint Mary’s page for information about other ways to meet your philanthropic goals.